Sources indicate that the next version of Windows Phone will be released sometime between June and August, with a developer version expected in April. With an update for the desktop version of Windows expected next month, many people were hoping that Windows Phone 8.1 would arrive then as well. Unfortunately, it looks like smartphone users won't be that lucky, with sources pointing to a release later in the year. 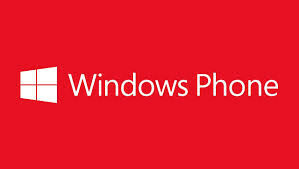 According to Chinese website WPbar, Windows Phone 8.1 will be released between June and August of this year, bringing with it a number of new devices. The site also mentions that Microsoft has perfected their Developer Preview program, and as a result users with an App Studio account will have access to the update in April. Windows Phone 8.1 is expected to help bridge the gap between the mobile and desktop versions of Microsoft's OS, with Internet Explorer syncing and a three-column start menu rumored as features. The ability to choose a custom background for the start screen has also been mentioned, but we'll have to wait till April for official confirmation of all the specifics.